Green Twp. 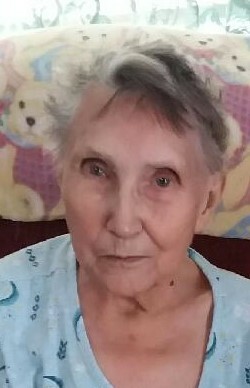 – Welma Elizabeth Windell, age 86, passed away on Saturday, March 30, 2019 at home with her family by her side. She was born on August 16, 1932 in Guyan, West Virginia, the daughter of Thomas Edward and Zelma Virginia (Hatfield) Wade. Welma was married to Homer Preston Windell II on December 9, 1951 and worked for Geauga Industries. Survivors include her children Charles Windell of Colebrook, Barbara Morrison of Winter Park, FL and Joyce (James) Thirion of Green Twp., siblings Robert Wade of Orwell, Roger Wade of Rome and Frances Brewton of Ashboro N.C., seven grandchildren and thirteen great grandchildren. Preceded in death by her parents, husband, son Ronald Windell, siblings Ezra Wade and Kay Miller.